Making an offer on REO property or a foreclosure in Centre County? Just as with any property purchase, your smartest move is to hire a professional real estate agent. "REO" is Real Estate Owned. These are houses which have been foreclosed upon and are now owned by the bank or mortgage company. This differs from a property up for foreclosure auction. When buying a property during a foreclosure sale, you must pay at least the loan balance plus any interest and other fees added during the foreclosure process. You must also be prepared to pay with cash in hand. And on top of all that, you'll get the property entirely as is. That might consist of standing liens and even current tenants that may require expulsion. A bank-owned property, conversely, is a more tidy and attractive deal. The REO property did not find a buyer during foreclosure auction. The bank now owns it. The lender will deal with the elimination of tax liens, evict occupants if needed and generally prepare for the issuance of a title insurance policy to the buyer at closing. You should be aware that REOs may be exempt from standard disclosure requirements. For example, in Pennsylvania, it is optional for foreclosures to have a Property Disclosure Statement, a document that typically requires sellers to make known any defects they are aware of. By hiring Corman Home Sales & Property Management, you can rest assured knowing all parties are fulfilling Pennsylvania state disclosure requirements. Is REO property in Centre County a bargain? 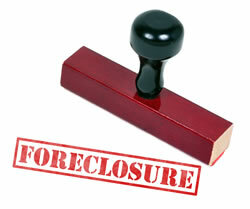 It's frequently thought that any foreclosure must be a bargain and a chance for easy money. This often isn't true. You have to be very careful about buying a repossession if your intent is to make money. While it's true that the bank is usually anxious to offload it quickly, they are also motivated to get as much as they can for it. Look carefully at the listing and sales prices of comparable homes in the neighborhood when considering the purchase of an REO. And factor in any repairs or upgrades necessary to prepare the house for resale or moving in. 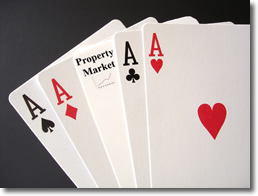 It is possible to find REOs with money-making potential, and many people do very well buying and selling foreclosures. However, there are also many REOs that are not good buys and may not be money makers. All set to make an offer? Most lenders have a department dedicated to REO that you'll work with in buying REO property from them. Normally the REO department will use a listing agent to get their REO properties listed on the local MLS. Prior to making your offer, you'll want your buyer's agent to contact either the listing agent or REO department at the bank and find out as much as they can about their knowledge concerning the condition of the property and what their process is for receiving offers. Since banks usually sell REO properties "as is", you'll want to be sure and include an inspection contingency in your offer that gives you time to check for unseen damage and terminate the offer if you find it. As with making any offer on real estate, providing documentation of your ability to secure financing may make your offer more attractive, such as a pre-approval letter from a lender. After you've presented your offer, it's customary for the bank to respond with a counter offer. From there it will be up to you to decide whether to accept their counter, or make another counter offer. Your deal might be final in one day, but that's usually not the case. Since offers and counter offers usually allow a day or more for the other party to respond (and employees at a bank don't work nights or weekends) you could be looking at a week or longer.